We offer one membership with several payment options to match your financial needs. All memberships can be cancelled with a 2 months notice at any point. $299 down and 11 payments of $159 per month. Free T-shirt and White Uniform or MT shorts at signup (Total - $2048). $399 down and 11 payments of $139 per month. Free T-shirt and White Uniform or MT shorts at signup (Total - $1928). $1799 prepaid in full for 12 months. Free T-shirt and White Uniform or MT shorts at signup. We offer 10% off for LEO, First responders and first degree family members. A family membership for 3 family members (first degree) and up is available for $399 per month. All memberships turn into a monthly membership at the end of the initial term at $199 per month after which you can renew again with one of the options above. We accept cash, checks and credit cards. All membership options require CC or bank account info to be put on file for your recurring payments unless paid in full. $299 down and 11 payments of $159 per month. Free T-shirt and White Uniform at signup (Total - $2048). $399 down and 11 payments of $139 per month. Free T-shirt and White Uniform at signup (Total - $1928). $1799 prepaid in full for 12 months. Free T-shirt and White Uniform at signup. Drop in classes are available for $30 per class. Please sign up in advance via the following LINK. Required gear for BJJ is a BJJ uniform ($149.95) plus belt ($19.99). We also recommend using a mouth piece and groin protector. Required gear for Muay Thai is Muay Thai gloves ($89.95), Shin pads ($69.95), Thai cup ($24.95), Mouth piece ($4.95), Jump Rope ($9.95), Gym T-shirt ($19.95), Muay Thai Shorts ($29.95), Hand wraps ($9.95). 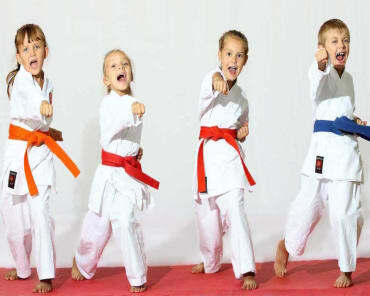 Required gear for TKD is a TKD uniform with the school logo ($39.95). We also recommend using a mouth piece and groin protector.